In an international context such as ours, students, families and educators bring the richness of diverse cultures, identities and influences of a global community. Working and learning together, we inevitably draw on individual backgrounds to create our own identity as an international community. Building on this idea, we also recognise how important it is for children to make authentic connections to local culture, geography and values of our host country of Switzerland. These connections play a significant role in shaping ways we live and learn together at school. 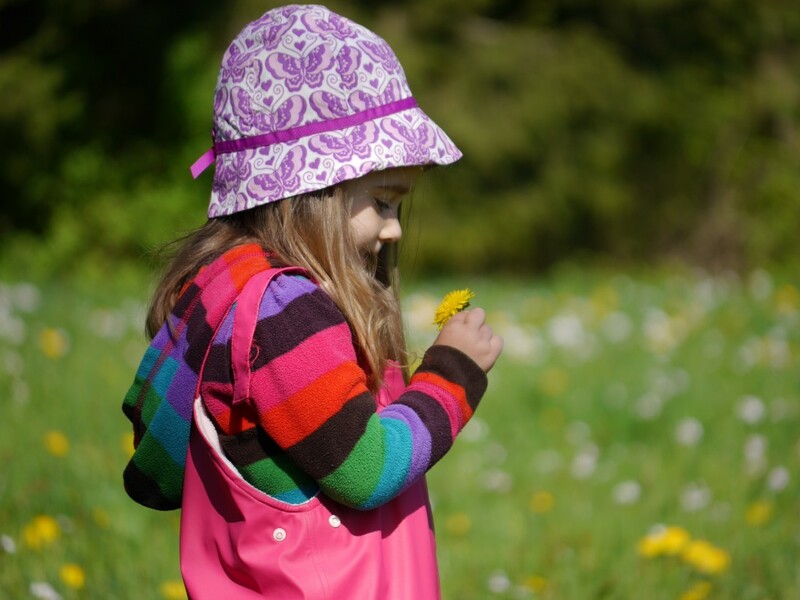 As a PYP school based in Switzerland, we recognize the importance our host culture places on children spending dedicated periods of time in the outdoors. 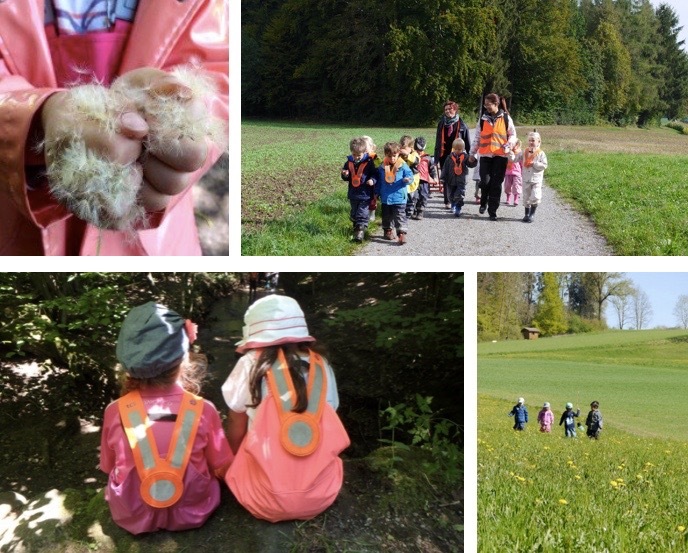 The connections we have made with the local forest through our weekly visits have become deeply rooted in the identity of our learning community. Each of our EYC classes has a year long unit of inquiry into the laws of the natural world through the transdisciplinary theme How the World Works. The forest learning space has become central to the deep, rich inquiries of these units of exploration. Therefore, time in the forest, throughout the whole year and in all weathers is an integral part of the programme. As children set out for a morning of forest exploration the air buzzes with anticipation. The children and teachers alike are inquirers anticipating a morning full of awe and wonder as we embark on a shared learning journey. As the children work together both independently and in collaborative groups, we observe and document their emerging theories and their connections to the Units of Inquiry. 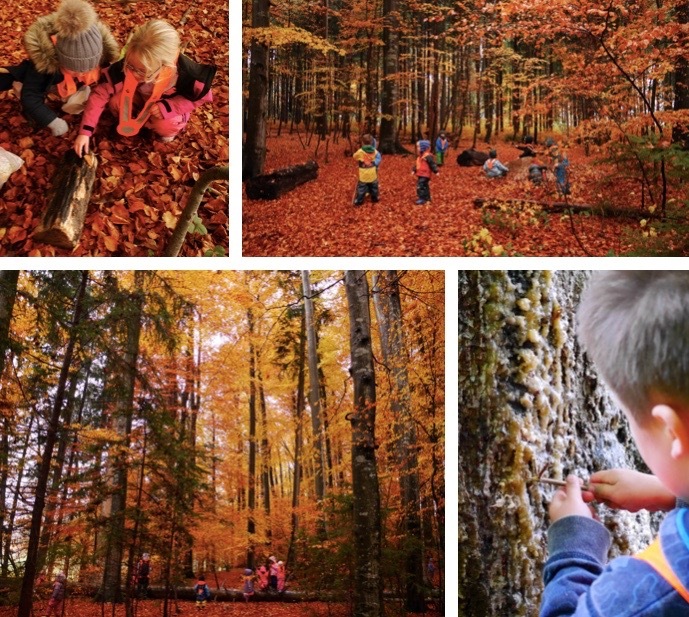 The forest also provides a wealth of opportunities for the children to demonstrate and practice the attributes of the IB Learner Profile in a way that cannot be replicated in a classroom setting. As children climb trees and explore physical challenges they learn to develop their own understandings about boundaries and explore what it means to be courageous risk takers. The children are knowledgeable as they ask questions and build their own theories about the changes they observe in the natural world. They carefully consider what inquiries are personally relevant and meaningful and how they can extend their knowledge back in the classroom. Or as they work together to build a shelter they communicate their ideas with their peers, solving problems and thinking through possible solutions. They demonstrate their caring, principled outlook on the world around as they truly become stewards of the earth. For the community at ICS, the forest is not just an additional learning environment, it is an essential part of our identity. It is a place where we can truly come together as a group to work and play in harmony with the natural world.